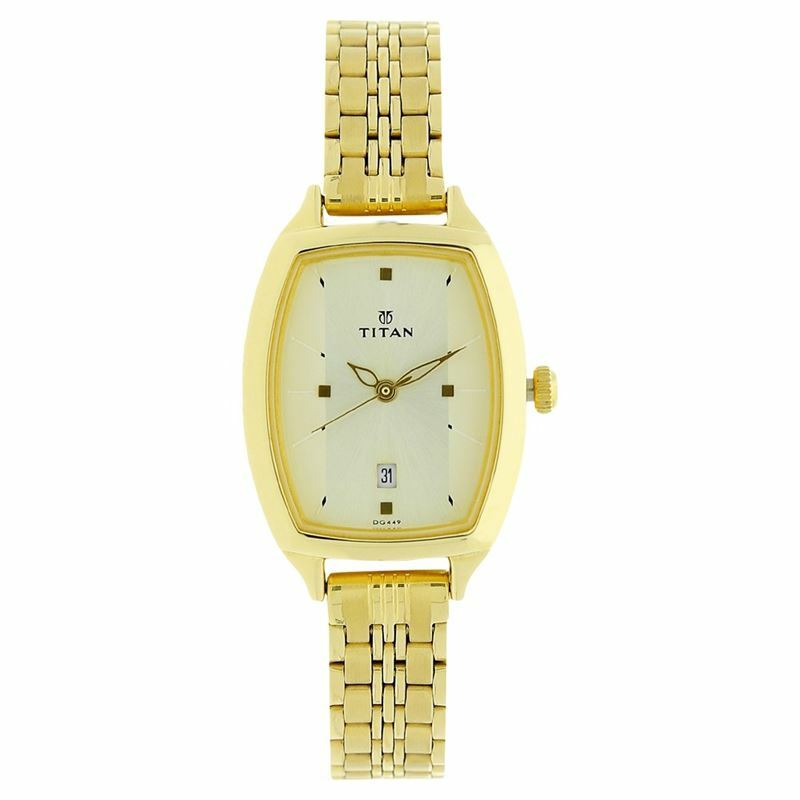 Coming from the Titan Karishma collection, this stainless steel strap houses feature which can keep the entire town hooked to it. This tonneau shaped watch for women has a unique two toned champagne dial with a darker shade in the middle and a lighter shade at both end. The shades are evenly placed and merge at the top and bottom of the dial. The dial features stylish square shaped metal indices and golden colour hands, which have a leaf shape design. The watch also holds well on utility along with style, where it has a date function on the dial. The stainless steel strap comes in golden colour along with the stainless steel golden colour case and the golden knob on the right side.